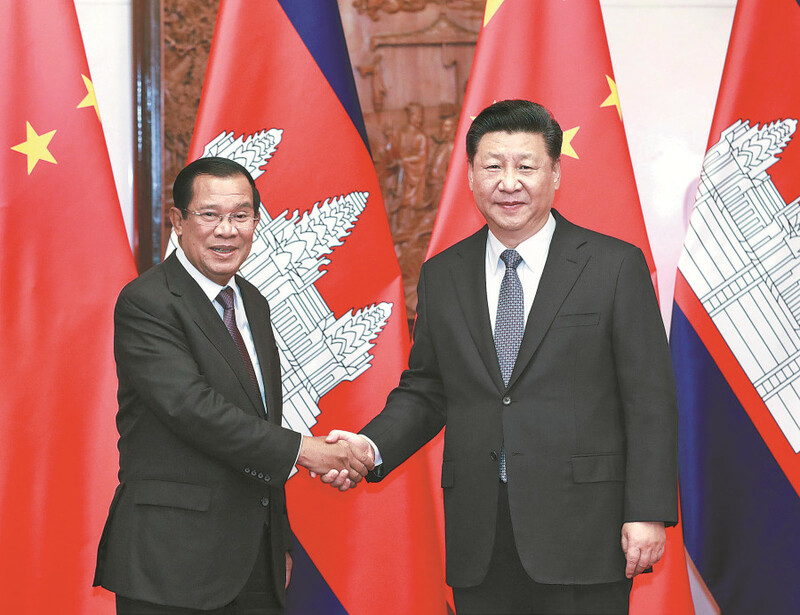 Xi made the remark while meeting with Cambodian Prime Minister Samdech Techo Hun Sen at Diaoyutai State Guesthouse in Beijing. The two countries should advance cooperation in five major areas — transportation, production capacity, energy, trade and people’s livelihoods, Xi said. China would like to make joint efforts with Cambodia, move toward the goal of building a strategic community of a shared future, set the major areas of cooperation and map out the blueprint for development, Xi said. 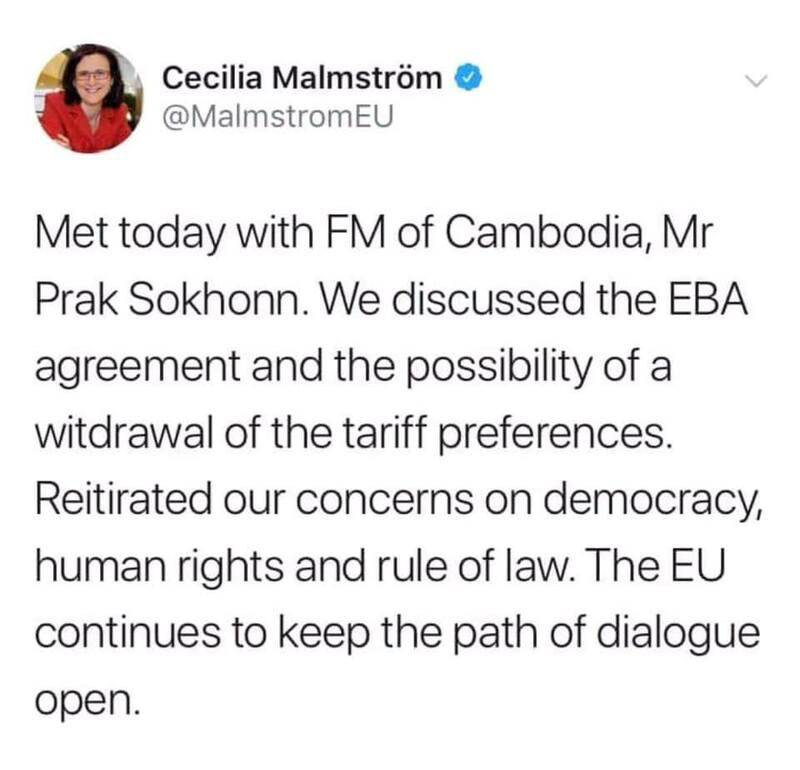 The two countries should maintain high-level exchanges, enhance exchanges of governance experience and deepen cooperation under multilateral frameworks including the United Nations and the China-ASEAN mechanism, he added. Hun Sen told Xi that he visited a major exhibition of China’s reform and opening-up achievements in the past 40 years, and that he was deeply impressed by China’s achievements. He said he’s glad to see that the Cambodia-China traditional friendship and comprehensive strategic cooperation have been strengthened continuously. The Cambodian prime minister expressed gratitude for China’s support and help for his country. President Xi Jinping meets with Cambodian Prime Minister Samdech Techo Hun Sen at the Diaoyutai State Guesthouse in Beijing on Monday. Xi said bilateral relations have developed at a high level. The signing ceremony was witnessed by Premier Li Keqiang and visiting Cambodian Prime Minister Samdech Techo Hun Sen.
Before the ceremony, the two leaders had talks at the Great Hall of the People in Beijing. 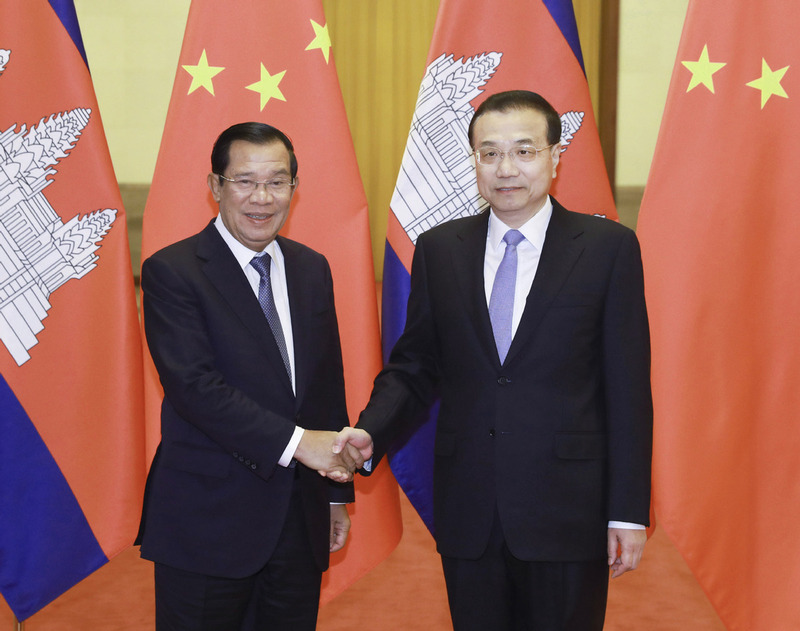 China will firmly support Cambodia on its path in line with its own national conditions, and better align the BRI with the country’s development strategies, Li said. Chinese companies are supported in their participation in Cambodia’s infrastructure construction and operation in areas such as transportation, power generation and production capacity, he said. Li called on the neighboring country to provide necessary assistance. The premier called on both countries to carry out key projects, including the special economic zone in the Sihanoukville Autonomous Port, and the 2019 China-Cambodia Year of Cultural Tourism. The two countries should strengthen exchanges and coordination under the China-ASEAN and Lancang-Mekong Cooperation frameworks, he said. Li also articulated China’s willingness to offer help in boosting Cambodia’s development and improving the well-being of its people. 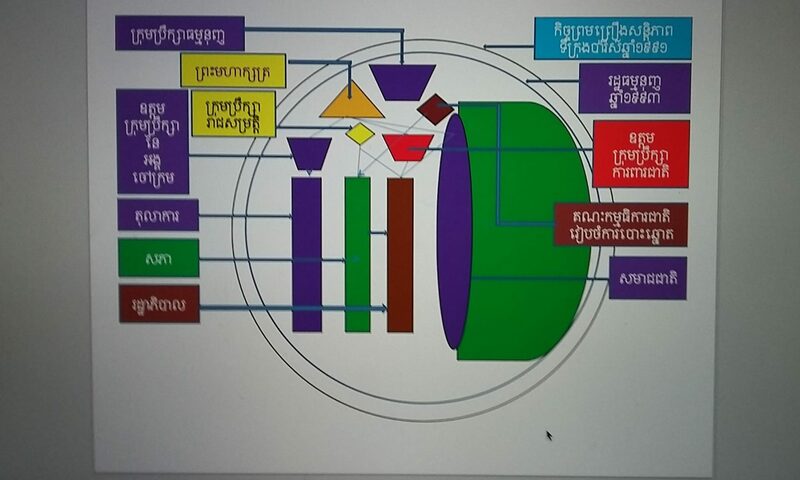 Hun Sen said China is a close partner for Cambodia. He congratulated the nation on the 70th anniversary of the founding of the People’s Republic of China and the achievements China has made over the past 40 years since reform and opening-up began. Cambodia is willing to strengthen cooperation with China in infrastructure, trade and agriculture, and expand people-to-people exchanges with closer cooperation in international and regional affairs, he said. In January of last year, Li visited Cambodia to participate in the second Lancang-Mekong Cooperation Leaders’ Meeting in Phnom Penh. That year marked the 60th anniversary of the establishment of diplomatic ties between the two countries. Hun Sen’s trip to China was his first overseas trip this year, said Wu Jianghao, director of the Department for Asian Affairs of the Foreign Ministry, at a briefing after the signing ceremony. 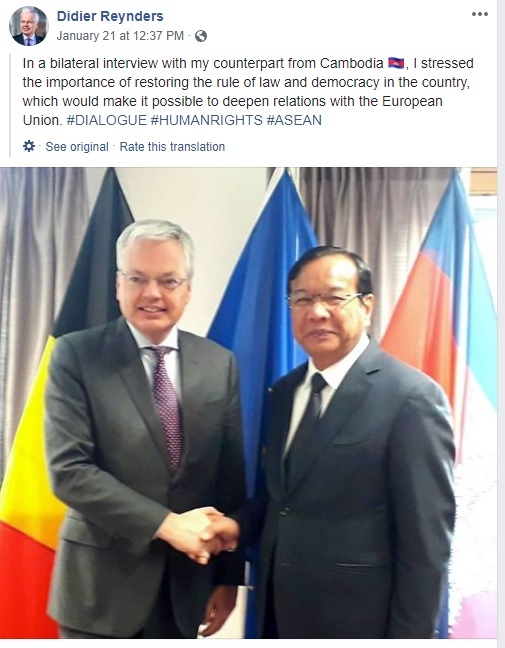 The two countries will make detailed action plans in political, economic, security and people-to-people areas, for building a community of a shared future with strategic significance, a key objective for Hun Sen’s visit, Wu said. Wu said the two neighbors will maintain high-level exchanges and strategic communications, promote economic cooperation in energy and other fields, and enhance alignment of each others’ development strategies as well as cooperation in national defense and law enforcement. In people-to-people exchanges, China and Cambodia will pay particular attention to strengthening exchanges between young people from the two countries, Wu added.